Project Food Forest as many of you know is getting ready to plant phase 1 of its first food forest at First Evangelical Free Church. We have been working very hard at planning and organizing to ensure that the first project is a success. This involves making sure we have trees, shrubs, mulch, and of course volunteers to help us plant. We are also making rain barrels so we can harvest some of the clean rainwater that falls out of the sky. Rainwater is best for watering your garden or fruit trees as it is naturally soft and does not have chlorine and other chemicals that have been added at water treatment facilities that your plants do not need. Collecting rainwater is helpful for the water restrictions that we have during the summer and can help cut down on your municipal water bill. If you have never used a rain barrel before you may be wondering how they work, or even how to make one. Fortunately, they are very easy to make and use. I used a 55 gallon food grade plastic barrel for mine, however you can use a wooden barrel, a garbage can, or even a 275 gallon IBC tote which are generally white plastic with a metal cage around it. Some people go the extra step and paint theirs, which is both creative and beautiful. You may even consider connecting more than one rain barrel in a series to collect even more rainwater as a 55 gallon barrel can fill up pretty fast. 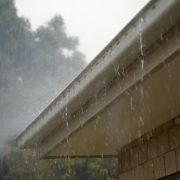 Filling your rain barrel using your downspout can be accomplished in a couple of different methods. The first method is to shorten your downspout and attach a plastic downspout extension to it and direct it to a hole in the top of your rain barrel. You may need to use a hole saw on the end of a drill to create the hole. The second method is to buy a rain barrel kit at your local hardware store. It will include everything you will need to make a rain barrel (at least mine did, even the hole saw). You will then drill a hole in your downspout and one in the side of your rain barrel, ensuring they are the same height. It is best to have your rain barrel on a stand so you can attach a spigot to the bottom allowing you to fill watering cans and attach a hose. The taller your stand the more water pressure you will get. I recommend a metal spigot as they will hold up better over time. You will then drill a hole toward the bottom of the barrel for your spigot. Install your spigot and connect the hose from the hole in your downspout to the one in your rain barrel and you are ready to go. I also recommend getting some window screen covering to use as a filter so you do not get leaves, pine needles, etc. collecting in the bottom of your rain barrel. It is very inexpensive and can be found at the hardware store. You could also connect more than one together with a rain barrel linking kit or even use PVC or garden hose. Many rain barrels are connected at the bottom but I have also seen them attached near the top as well. I just Googled “connecting rain barrels together” and there are many websites that come up that will show you how to do it. You can also watch videos on Youtube by searching “connect rain barrels”. Those of you who don’t have downspouts, you might still be able to use a rain barrel. 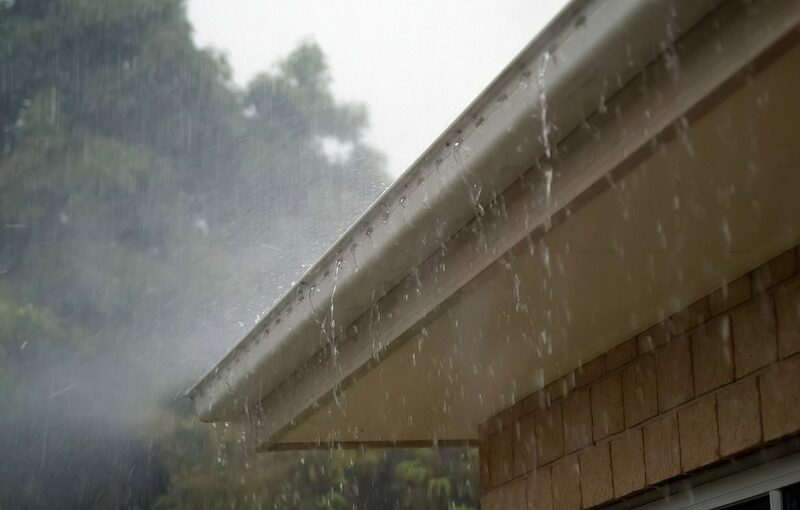 You will need to find an area of the roof where water pours over whenever it rains. By placing the rain barrel under one of those spots you will catch plenty of water. We would appreciate some help making rain barrels, so please contact us as we will need several throughout the season for the food forests we have planned to plant. Are any of the sites you have planned open to having strategically planned rain gardens to slow run off, hold water in the soil, and feature some beneficial pollinator plants? None of our current sites have rain gardens, but the Spirit of Peace site features trees planted in slight mulched depressions to harvest extra rain water. The soil is very clay-ey and the water table is high, so we don’t want to hold any more water than that on the property.